The digital monsters are back in a brand new game! Digimon Story: Cyber Sleuth – Hacker’s Memory is available now. The game is available physically for PlayStation 4 and digitally for PlayStation Vita. The PlayStation 4 version is $59.99 whereas the PlayStation Vita version is only $39.99. For more information about the game, check out Bandai Namco’s full press release below. SANTA CLARA, Calif., (January 19, 2018) – Leading digital entertainment company BANDAI NAMCO Entertainment America Inc. today announced the release of Digimon Story: Cyber Sleuth — Hacker’s Memory for the PlayStation®4 computer entertainment system and PlayStation®Vita handheld system (digital only). 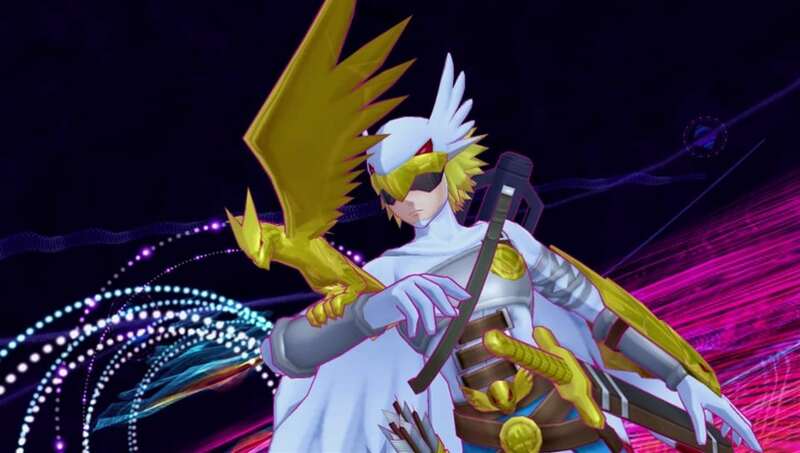 Digimon Story: Cyber Sleuth — Hacker’s Memory brings classic turn-based gameplay back to Digimon fans and Japanese role-playing-game (JRPG) enthusiasts. Players take on the role of Keisuke Amazawa who has been accused of crimes he didn’t commit. Diving into the Digital World, players will unravel the truth behind the crimes, clear Keisuke’s name, and protect his family and friends. Players will travel between the real world and cyberspace in their journey and encounter unique characters from hacker groups including Erika Mishima, Chitose Imai, and Nokia Shiramine. These characters, as well as others, might be able to provide clues to Keisuke and help uncover the game’s true mystery. Throughout their adventure, players will also scan, raise, and train over 300 Digimon to assemble into teams and take into turn-based battles against rival Digimon. Digimon Story: Cyber Sleuth — Hacker’s Memory is rated T for TEEN by ESRB and is available for purchase today at video game retailers in the Americas for the PlayStation®4 computer entertainment system at a MSRP of $59.99. The PlayStation®Vita handheld system version is available through digital download via the PlayStation Network for $39.99. Digimon Story: Cyber Sleuth — Hacker’s Memory supports Sony’s Cross-Save feature, enabling players to transfer their save files between the PlayStation®4 and PlayStation®Vita versions of the game. To learn more about BANDAI NAMCO Entertainment America Inc.’s other products go to: http://www.bandainamcoent.com/home.html or follow us on Facebook at https://www.facebook.com/BandaiNamcoUS or join the conversation at https://twitter.com/BandaiNamcoUS. © Akiyoshi Hongo, Toei Animation. Press Release © 2018 BANDAI NAMCO Entertainment America Inc.